Modelled on the wristwatch made for the Czech Air Force in the thirties, the Longines Heritage 1935 is the latest addition to the brand's successful line of reissue timepieces. The Heritage has all the key characteristics of the original, with some prominent differences. 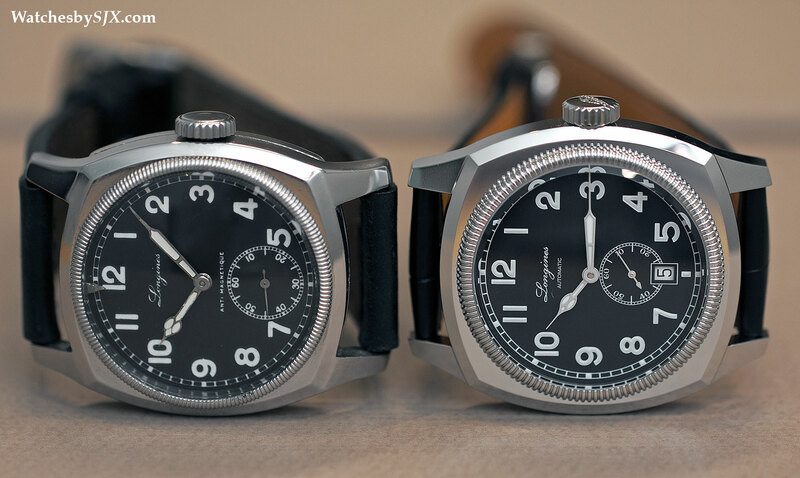 Longines, as it is wont to do, unveiled a remake of its Czech Air Force wristwatch at Baselworld 2014. Like the original, the Heritage 1935 is a large, cushion-shaped timepiece with a typical pilot’s watch dial. 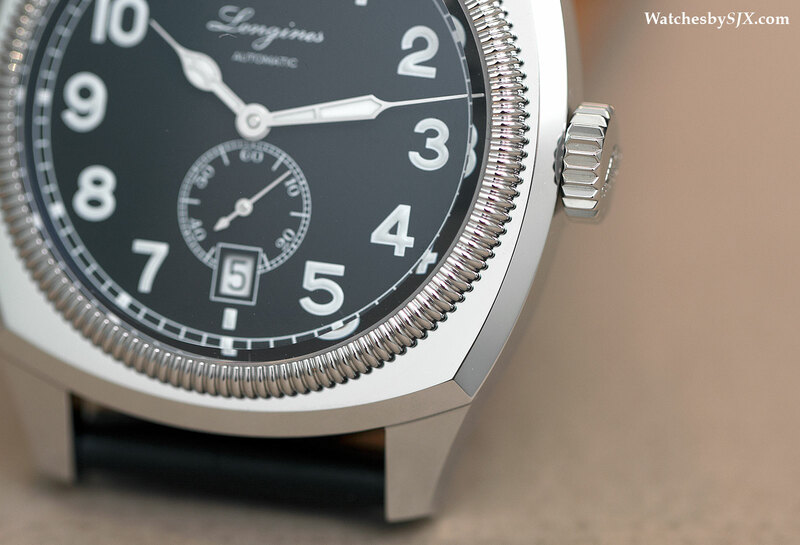 Though little known outside military watch collecting circles, the Longines Czech Air Force is one of the most distinctive pilot’s watches ever made. Supplied to Czech aviators from 1935 to the mid-forties, the timepiece was 41 mm in diameter, enormous for the time. 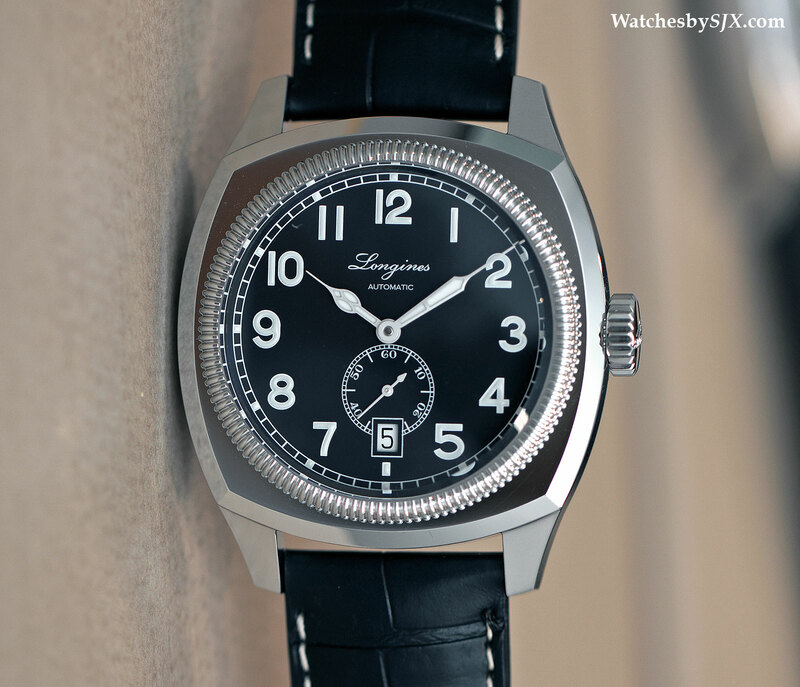 Beyond the size was the unusual cushion-shaped case, apparently a specification of the Czech military since Lemania and Eterna also supplied similarly-shaped watches to the air force. 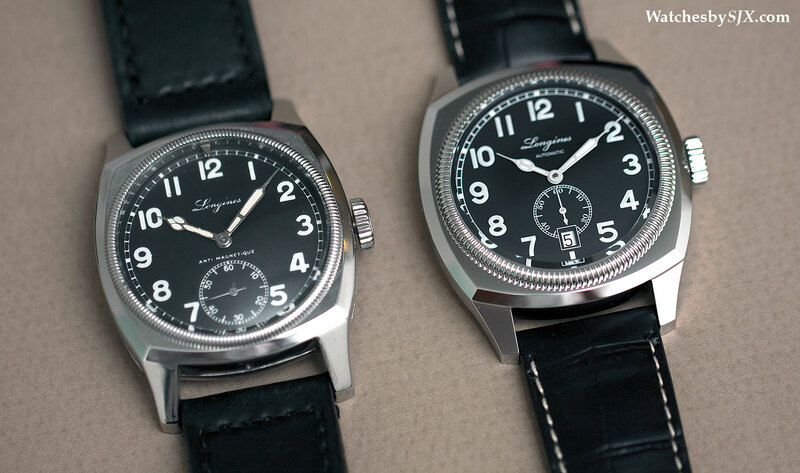 Most were marked “MAJETEK VOJENSKE SPRAVY” on the case back, which translates as “Property of military administration”, so these watches sometimes carry the nickname Longines “Majetek”. 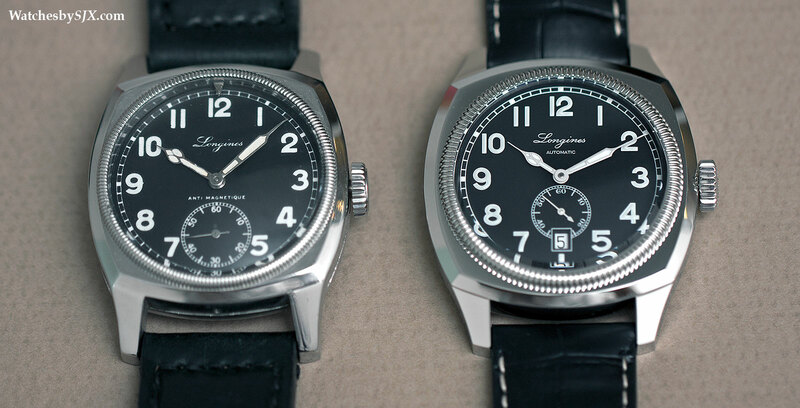 The new Longines Heritage 1935 sticks closely to the form of the original, though it is noticeable larger and rounder. 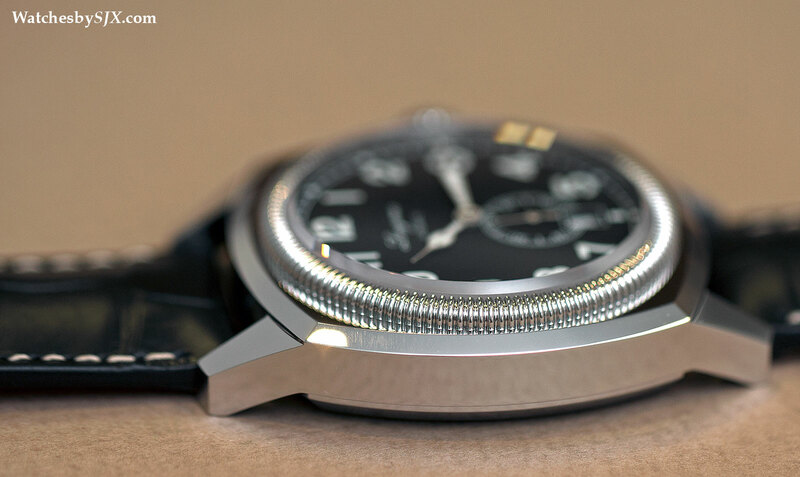 Though at 42 mm in diameter it is only 1 mm wider than the original, the case is fuller around the sides. And the front is corresponding wider, with bigger flat surfaces around the round bezel. 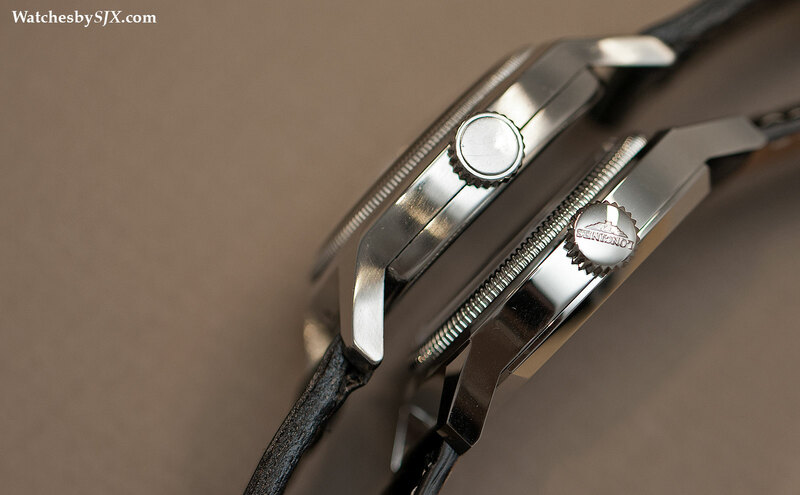 While the original had a rotating bezel with a marker, the Heritage 1935 has a fixed bezel. Because the original was made of folded and pressed metal, it feels somewhat hollow. 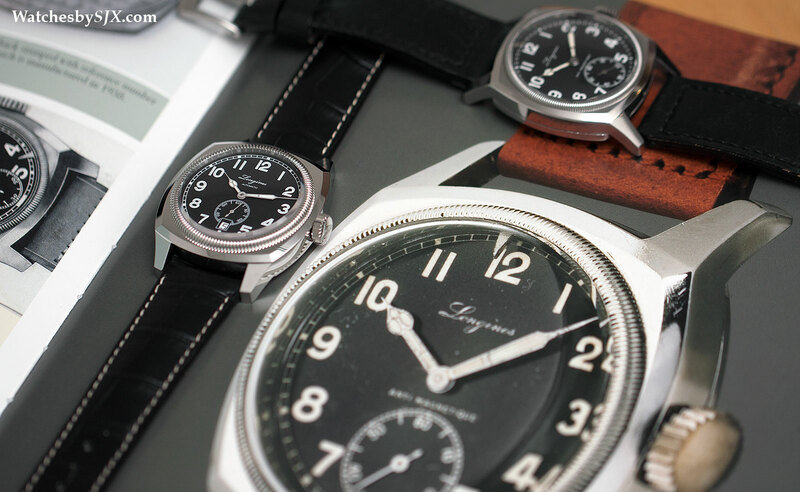 The Heritage 1935 has the solid feel of a modern, stamped steel case. 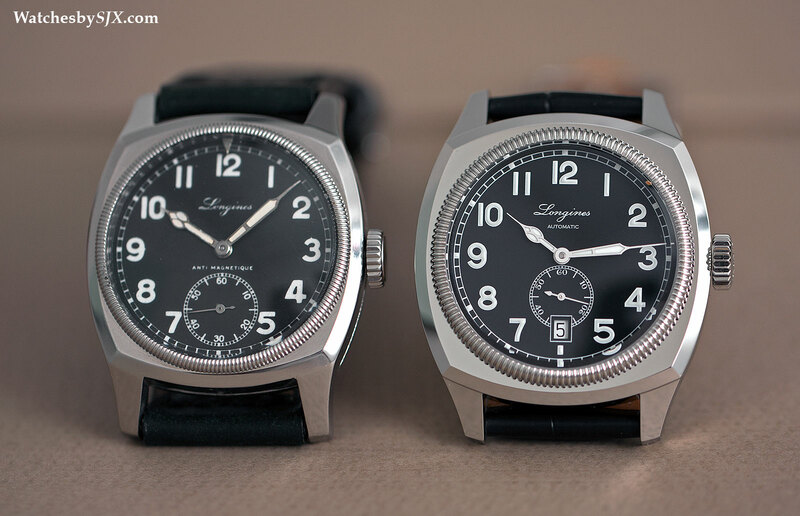 Unusually, Longines gives the Heritage 1935 a 22 mm strap, smaller than the 24 mm of the original. This enhances the size of the Heritage 1935, making it seem even larger. Despite being larger, the Heritage 1935 is slimmer than the original. 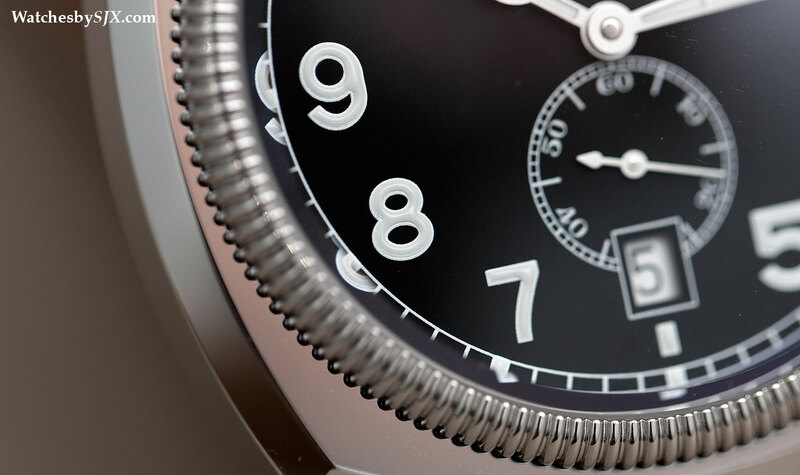 What is most notable about the Heritage 1935 is the printing of the numerals on the dial, particularly on the sub-seconds. Whether intentional or not, the print is slightly fuzzy under magnification, similar to the originals (which had enamel early on and then lacquered metal dials). The large hour numerals, on the other hand, are practical. The numbers are first printed and then filled with Super-Luminova inside. Another modern convenience found in the Heritage 1935 is the sapphire crystal with antireflective coating. It is thick and sits just above the bezel, for an effect that’s similar to the Plexiglas on the original. While the original Czech Air Force watch had manual-wind pocket watch movements, the Heritage 1935 is powered by an automatic ETA 2895. While reliable and robust, the ETA 2895 is slightly small for the case, which is why the sub-seconds is small and sits close to the hands. In the original the seconds is almost at the edge of the dial. 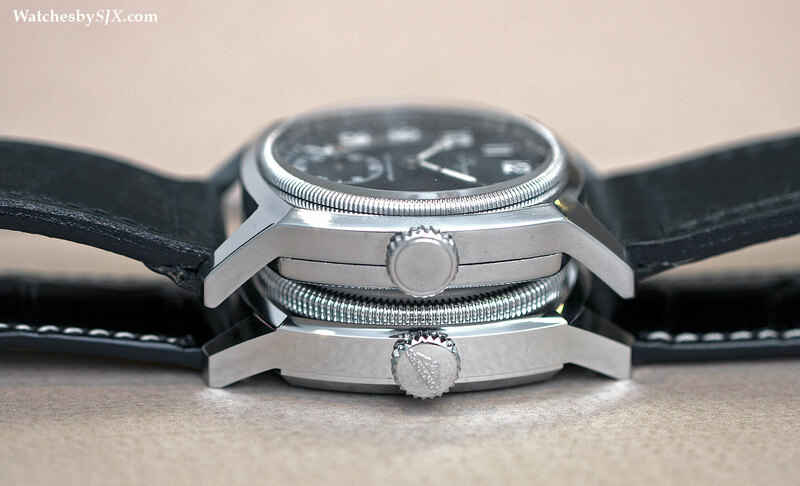 The movement is hidden underneath a solid case back. 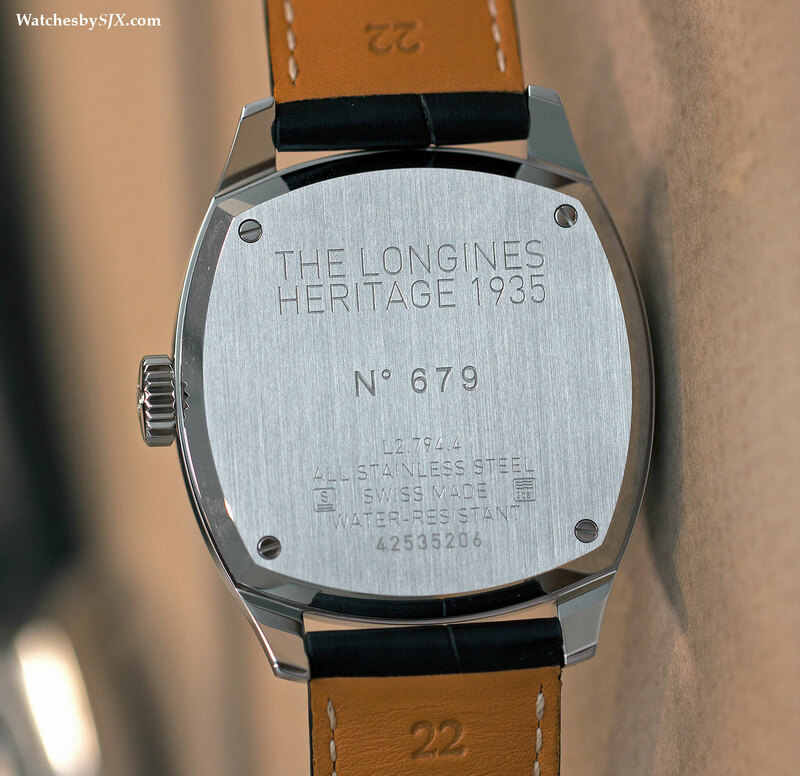 Though not a limited edition, the Heritage 1935 is numbered sequentially on the back. 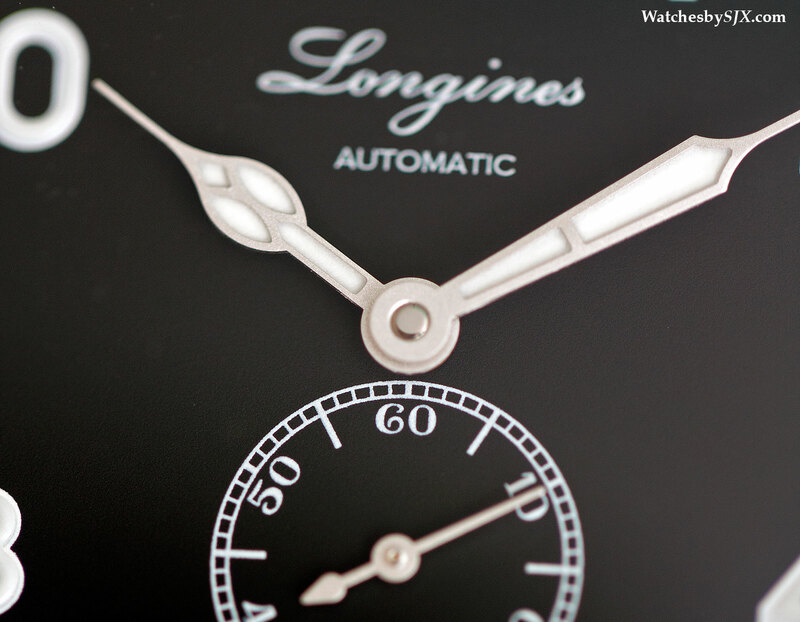 The biggest shortcoming of the Heritage 1935 is the same as that in many of the other Longines Heritage remakes (see proof here, here, here and here) – a date window. Looking wretchedly out of place and cutting into the sub-seconds, the date is convenient but unattractive. 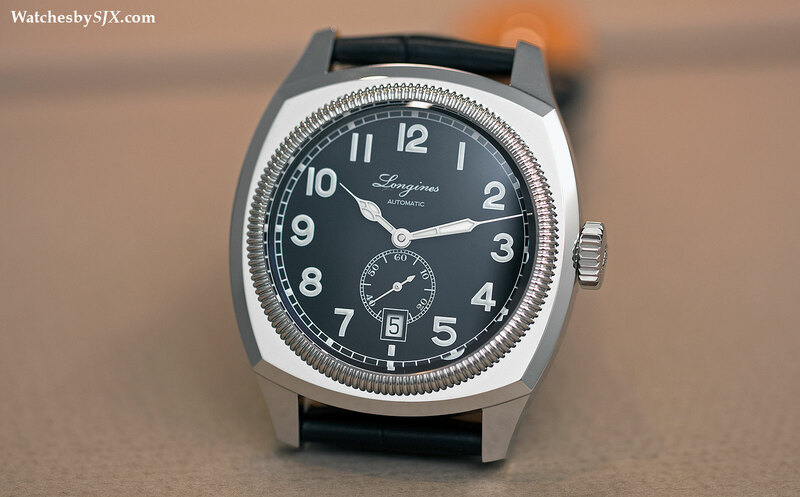 Overall the Heritage 1935 is a similar proposition to the other Longines remakes – a well made vintage style timepiece at an affordable price. 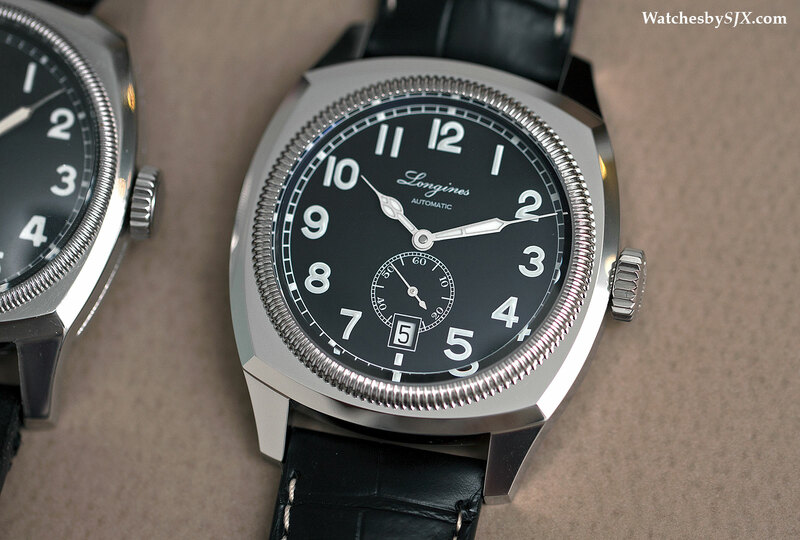 The Longines Heritage 1935 is available now and retails for US$2300 or 3020 Singapore dollars. A remake of a watch Longines made for the Czech Air Force in the thirties, the Heritage 1935 retains all the signature elements of the original, including the distinctive cushion case and cathedral hands.